Kevin Helppie has been involved professionally in choral and vocal music for over 30 years. He has directed collegiate, church and community choirs in Washington, Oregon, North Dakota, Kentucky and Texas. He studied choral conducting at the Robert Shaw Institute in France and with teachers Abraham Kaplan and Dr. B.R. Henson. Kevin is a frequent solo vocal performer throughout the Northwest. He has recently been a soloist with the St. James’ Portland Bach Cantata Series, Willamette Master Chorus, the Boise Master Chorale, Festival Chorale Oregon, Portland Symphonic Choir, Corvallis Repertory Singers and Salem Repertory Theater. He has been a guest teacher and recitalist in Finland, Latvia and China. He also performs jazz music and has performed with the Dave Brubeck Quartet and Dave Frischberg and the Western Hemisphere Orchestra. In collaboration with Forrest Kinney, he has composed & published two books of modern art songs. Kevin has a Doctor of Musical Arts Degree from the University of Washington, Master of Music Degree from Indiana University and a Bachelor of Arts Degree from Western Washington University. 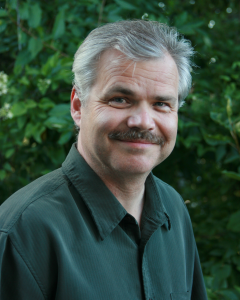 Dr. Helppie has been President of Cascadia Concert Opera, and Past-President of the Cascade Chapter of The National Association of Teachers of Singing and is Professor of Music at Western Oregon University, where he oversees the vocal program.